Baroness Bijoutery. I have seen this award on other's blogs however until this morning, I really did not know what it represented. How lovely is that! Thank you so much Baroness, I appreciate this very much! In following along with the spirit of this award, I must now pass it along to 8 blogs that I feel are deserving of it. The other criteria is that when accepting the award, you must post the meaning of the award on your blog (see above). Now, I must go and notify the above bloggers to come pick up their award. Wishing everyone a great night...and don't forget Earth Hour tomorrow! Congratulations on yet another award!! 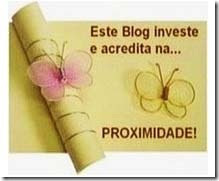 Will enjoy "checking out" the blogs you have mentioned! I'm glad you like the award..you so deserve this award..Have a great weekend. Big Congrats on the award Sue! So well deserved! I am honored that you chose me as one of your recepitants of the award! Sue...Congratulations! You truly deserve this award! Thanks for being my blog friend! Thank you so much for thinking of little o me! I'm off from work tomorrow and I'll post it on my blog! Dear Sue, congratulations on your award and thank you for remembering my blog! I will post it at Polymer Clay Chameleon right away!